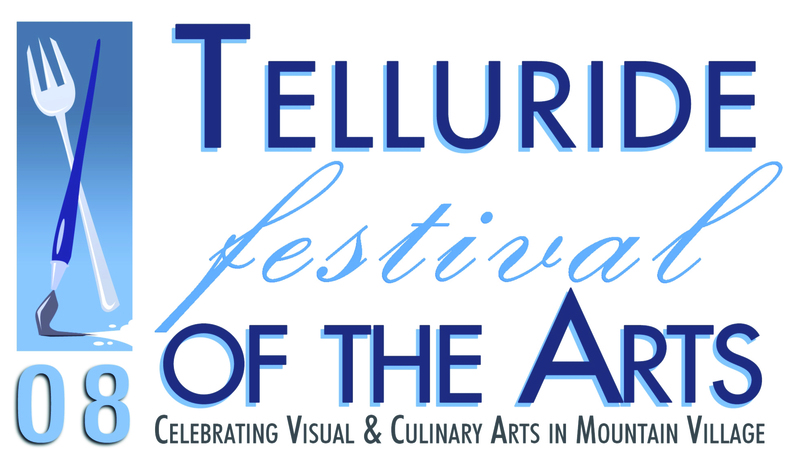 Telluride Mountain Village Owners Association (TMVOA), sponsors and organizers of the Telluride Festival of the Arts (TFA), announced today the roster of culinary experts to be featured at this year's festival; including Top Chef Season Two Winner Ilan Hall and PBS' Ciao Italia Chef Mary Ann Esposito. TFA also announced that a portion of the net proceeds from the festival will benefit a local Telluride, Colo., nonprofit, the Ah Haa School for the Arts. Guests at this year's festival can look forward to a diverse array of cuisines from some of the nation's top culinary talent. Telluride Mountain Village Owners Association (TMVOA), sponsors and organizers of the Telluride Festival of the Arts (TFA), announced today the roster of culinary experts to be featured at this year's festival. TFA also announced that a portion of the net proceeds from the festival will benefit a local Telluride, Colo., nonprofit, the Ah Haa School for the Arts. The 2008 culinary program will feature eight live chef demonstrations conducted by nationally and regionally recognized culinary experts, a gourmet Progressive Tasting Series at three premier restaurants, and a Grand Tasting event that will showcase a dozen leading culinary establishments in Telluride's Mountain Village, as well as an array of fine wines and spirits from leading distilleries and vineyards. The list of culinary experts includes Ilan Hall, winner of Season Two of Bravo TV's Top Chef, Betty Fraser and Josie Smith Malave, who were both finalists from Season Two of Bravo TV's Top Chef, and Chef Mary Ann Esposito, host of the longest running cooking show on television, PBS' Ciao Italia. These experts are joined by well-known Mountain Village, Telluride and Denver executive chefs, including Alejandro Barreda (Las Montañas - Telluride), Troy Guard (TAG - Denver), Elise Wiggins (Panzano - Denver) and Kelly Patton (9545 - Mountain Village). "We are pleased to announce such an exemplary roster of culinary experts for the 2008 festival," said Chuck Sullivan, Director of Culinary Programming for the 2008 TFA. "Guests at this year's festival can look forward to a diverse array of cuisines from some of the nation's top culinary talent." Bringing together culinary experts from a variety of cuisine techniques as well as both renowned and emerging visual artists from across the United States, TFA will play host to more than 7,000 local and regional visitors, plus guests from as far away as New York, Dallas, Chicago, Los Angeles, Phoenix and San Francisco. In addition to the culinary program, the 2008 Festival includes a public art show featuring artists in 13 media categories including: ceramics, fiber, glass, mixed media, painting, photography, sculpture and wood. Major sponsors for the 2008 TFA include the Telluride Mountain Village Owners Association, Cherry Creek Arts Festival, Colorado Homes & Lifestyles, Sub Zero, Wolf, StraightOut Media & Marketing, Elevation Vacations, Great Lakes Aviation, William Ohs, Mountain Lodge and the Inn at Lost Creek; in addition to 2008 Wine & Spirits sponsors Finlandia Vodka, Bonterra Vineyards, Woodford Reserve, Paulaner Munich Beer and Tequila Herradura. Where: Town of Mountain Village, Colo.
Tickets: Weekend Pass and individual event ticket options available at http://www.telluridefest.com. Biographies on the individual chefs are available at http://www.telluridefest.com. The Telluride Festival of the Arts (TFA) is an annual weekend-long, culinary and visual arts event held in Mountain Village, Colo. 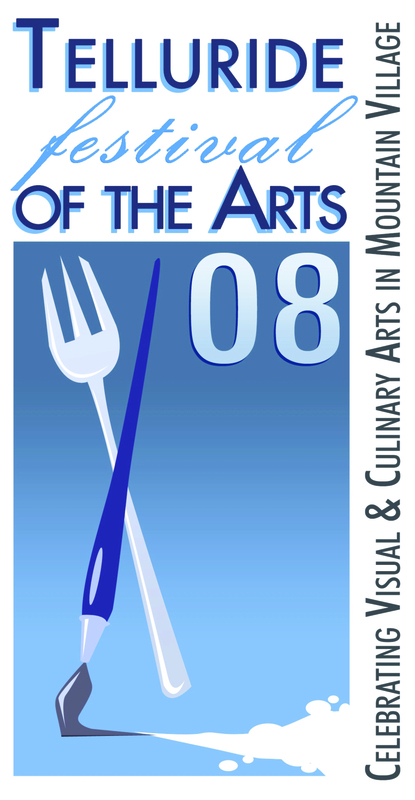 In association with the nationally renowned Cherry Creek Arts Festival, TFA hosts nationally and regionally recognized chefs and artists from across the United States in a one-of-a-kind outdoor exhibition nestled in a box canyon surrounded by the majestic 13,000-foot peaks of the San Juan Mountains. For more information, visit http://www.telluridefest.com. Telluride Mountain Village Owners Association (TMVOA) is a membership organization serving property owners in Mountain Village, Colo., with an ultimate goal of ensuring that Telluride Mountain Village is a highly sustainable and vital resort community. The funds collected by TMVOA from Real Estate Transfer Assessments on property sales tax and monthly member dues provide for and support affordable housing, assist with the creation of a stable work force, support regional transportation and create strategies to increase tourism in our town. 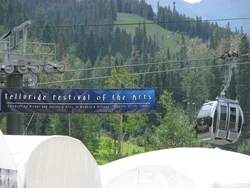 TMVOA also sponsors and presents numerous events in Mountain Village including the Telluride Bluegrass Brunch, Sunset Concert Series and the Telluride Festival of the Arts. For more information, please call (970) 728-1904 or visit http://www.tmvoa.org.